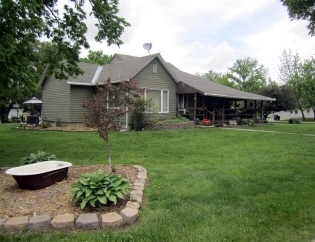 Very Nice 4 bed, 2 bath, Ranch Style Home! 4 Beds 2 Baths 1,236 Sq. ft. Very Nice 4 bed, 2 bath, Ranch Style Home on large corner lot. Two-car attached garage, Heat Pump Installed in 2017, 2 non conforming bedrooms in the basement for a possible total of 6 bedrooms..The House was moved into Edgar in 1990 set on a poured basement foundation. A MUST SEE! !